You’d have to be nuts to miss Walnut Melbourne’s warehouse sales. Put them in your diary, write them on your hand, queue up all night – whatever you do, don’t miss the only Walnut Melbourne warehouse sales for 2019. For four days only, pick up classic Walnut samples, seconds and discontinued lines reduced to clear. 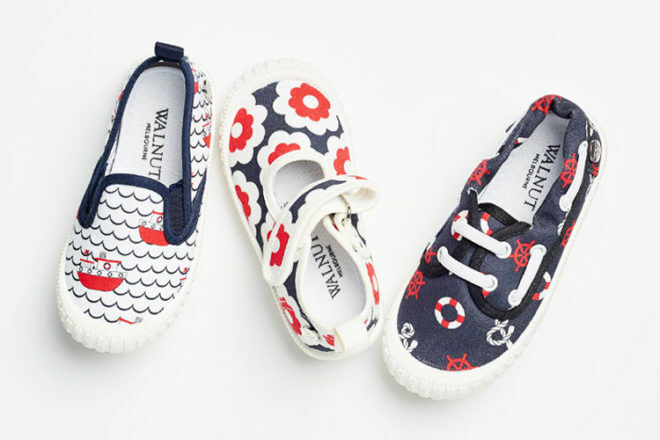 Plenty of girls and boys winter and summer styles, and more kids canvas shoes (all $10) on sale than ever before.